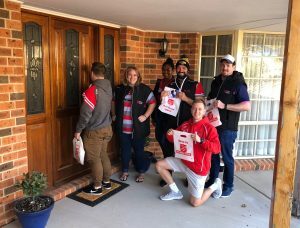 Sunday 27 May saw some of the Vikings finest support their community by hitting the streets of Tuggeranong to support the Salvos with this year’s Red Shield doorknock Appeal. 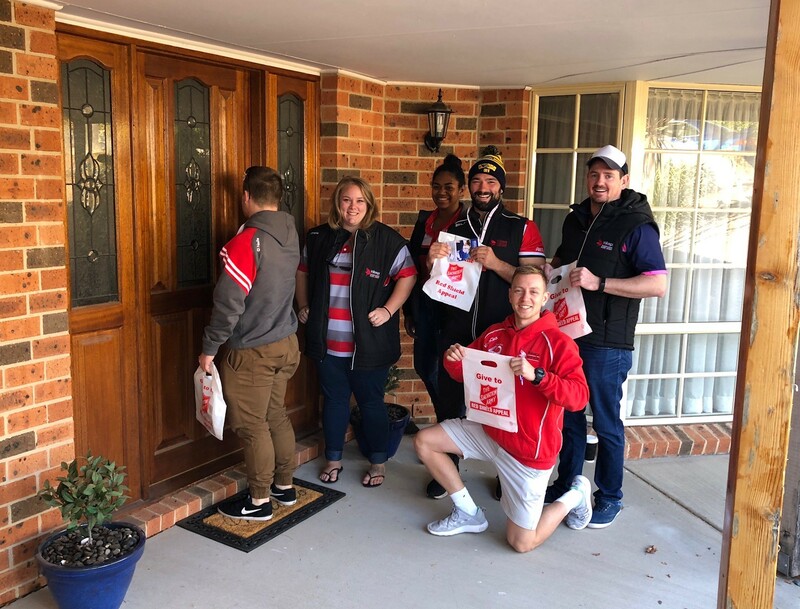 The Vikings helped collect in excess of $1,000, which was gratefully accepted by the Salvation Army Tuggeranong Corps. Club stalwart Greg Hayes topped the list with $169.50 and won the $100 gift voucher. Nic Murray, Riley Banks, John Gibson, Alex Stone, Charles Pratt, Ryne Bowden, Ema Masi, Stephanie Stewart-Jones, Taylor Stanford, Andrew Robinson, Steve Solofa, Greg Hayes, Luke Corcoran, Angus Burns, Brendan Allardyce, Michael Henry and Dean Browne. 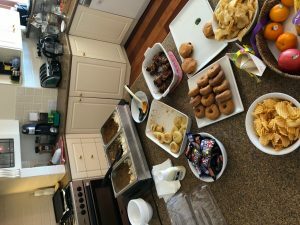 All were treated to a great spread following their round and didn’t go away hungry. Thanks to Dave and Jo Paull for hosting everyone!